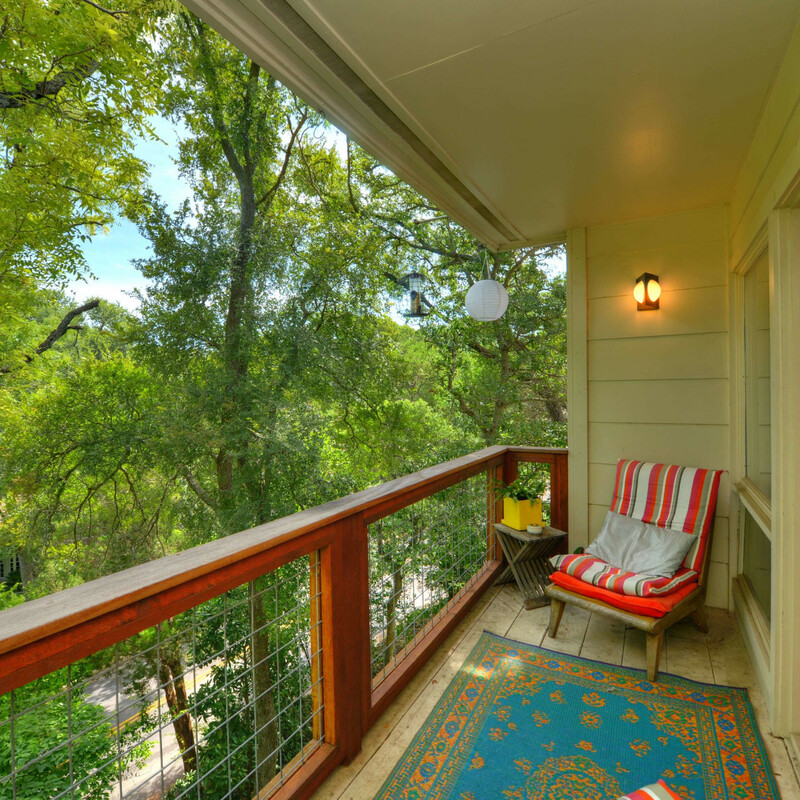 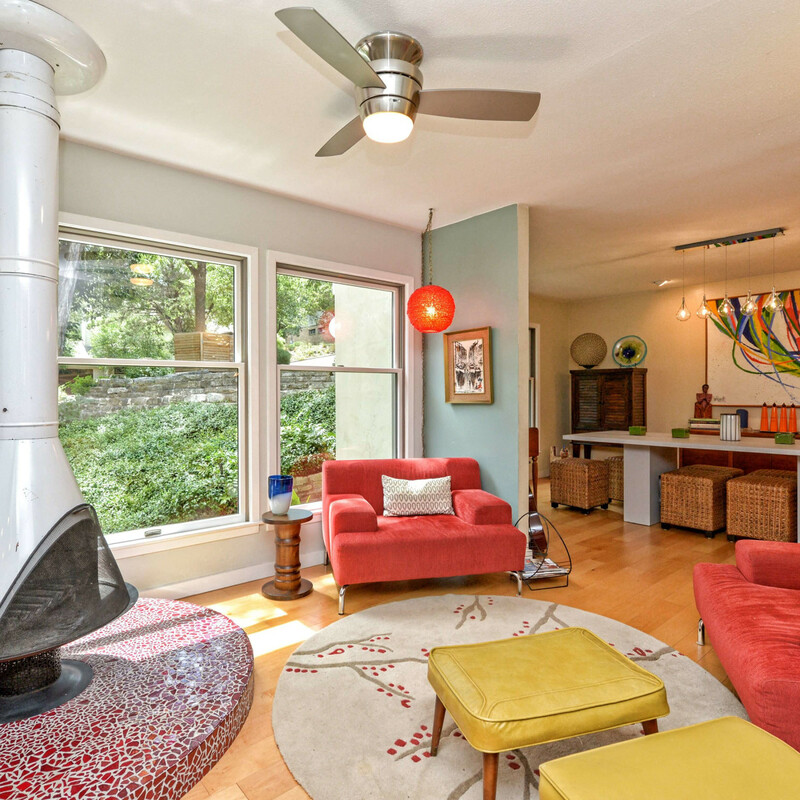 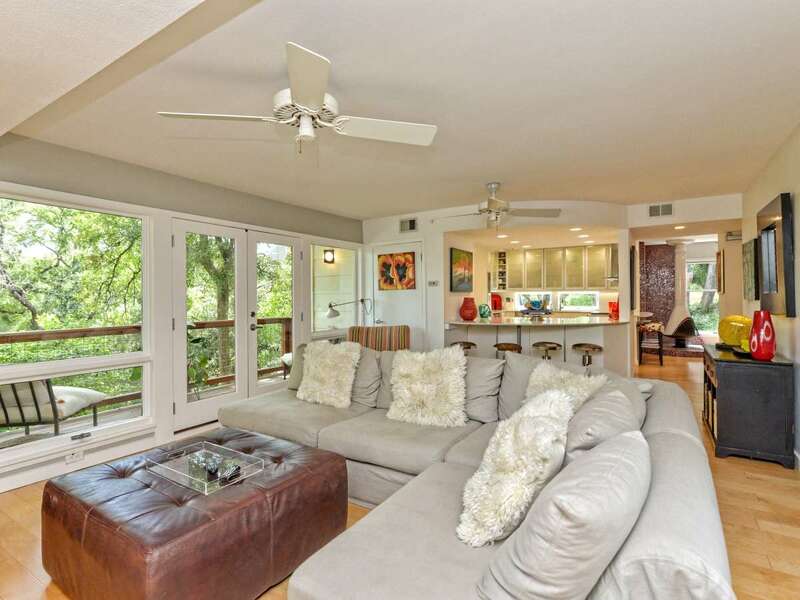 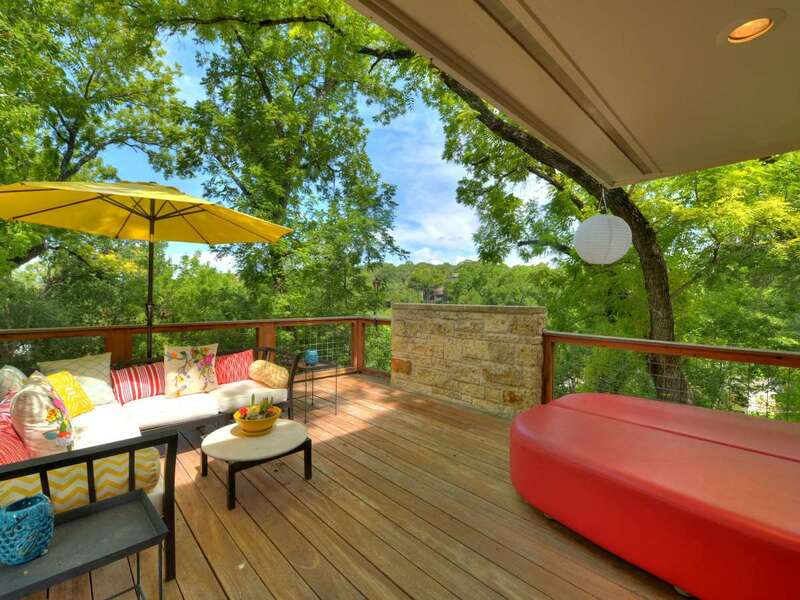 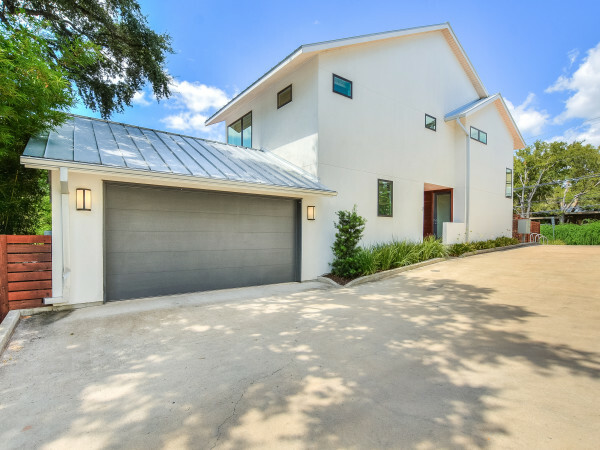 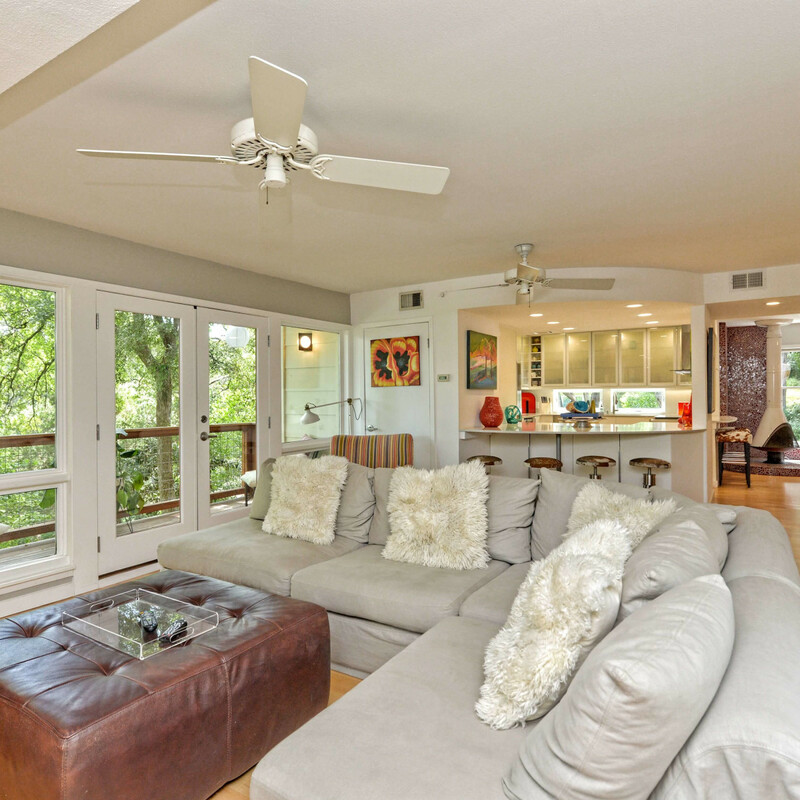 Modern tree house living is at your fingertips at 5932 Highland Hills Dr. 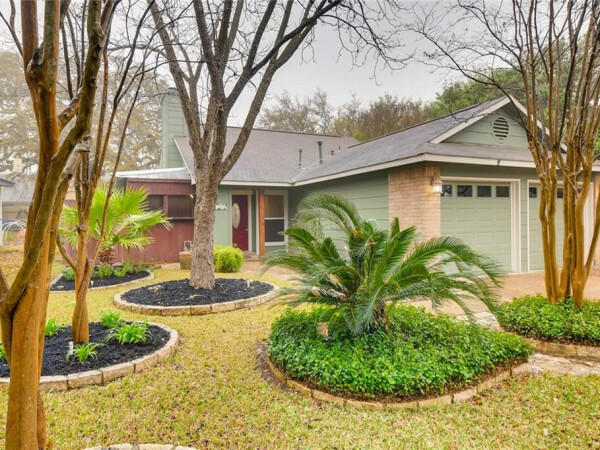 The updated home in Northwest Hills, listed this week, features three stories of unique space surrounded by 40-foot trees and lush greenery. 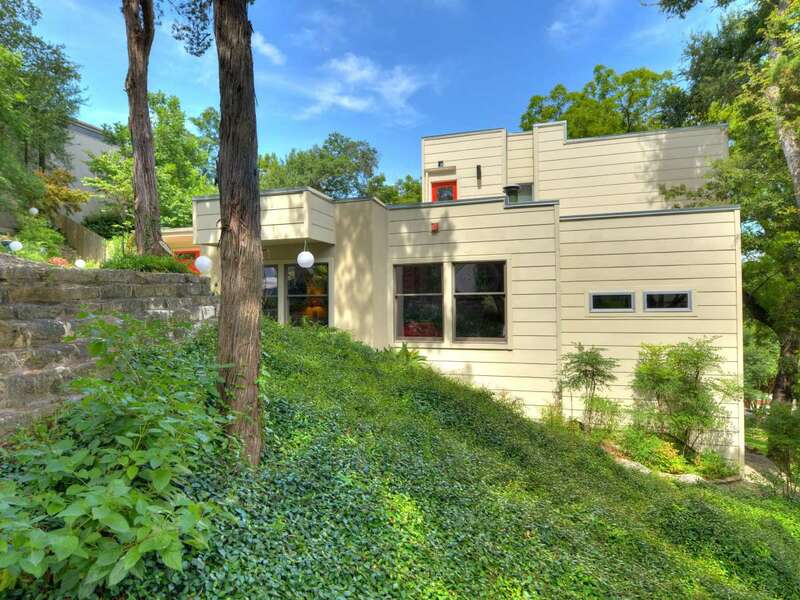 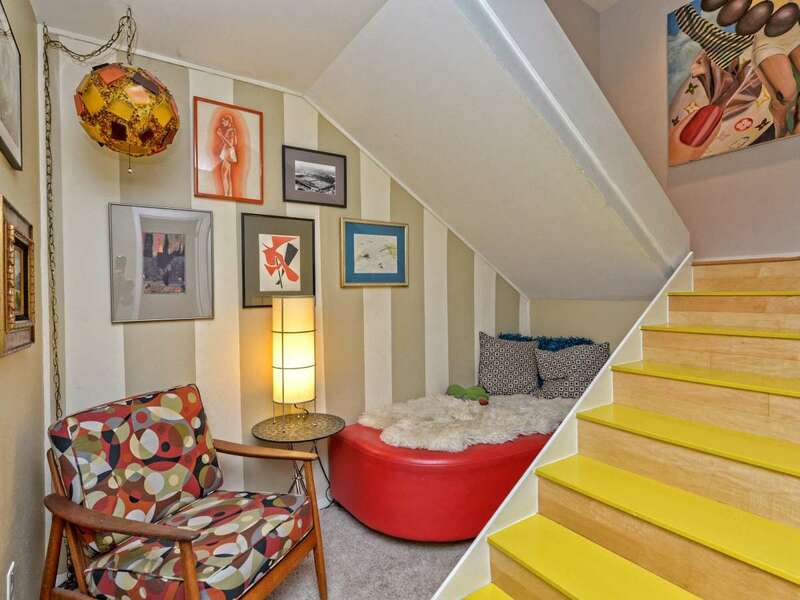 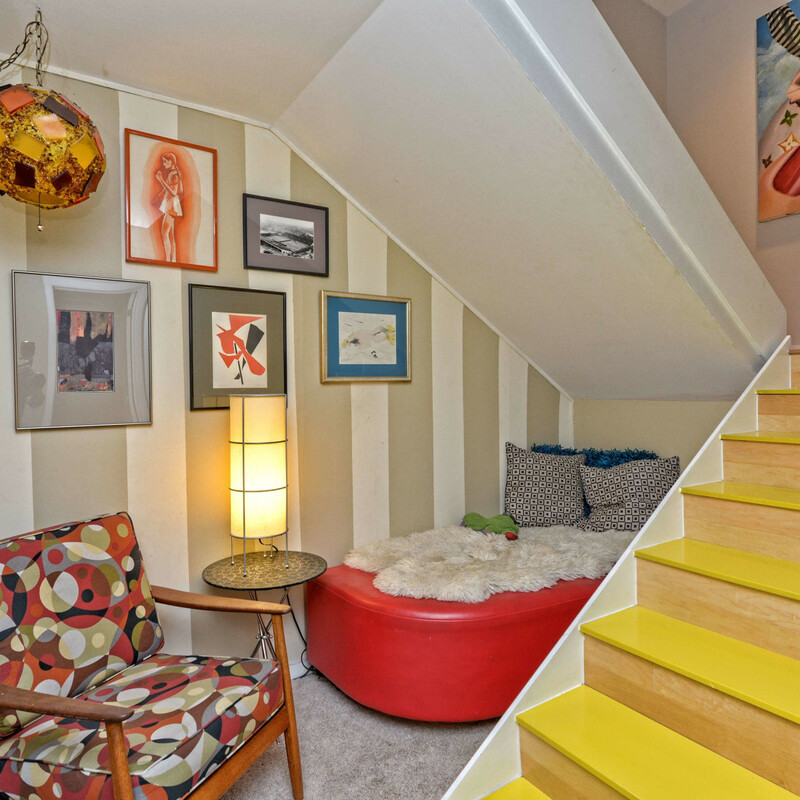 The home, built in 1967, was designed to maximize its unusual lot, which is situated on a hill. 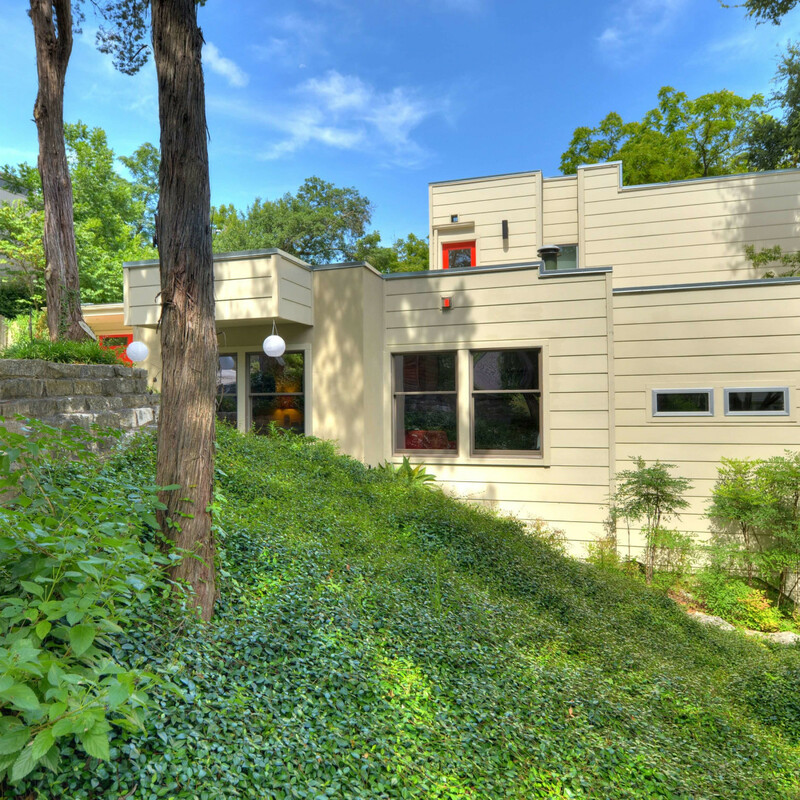 The main entrance and common areas are located on the second floor, while three secondary bedrooms are found on the ground floor. 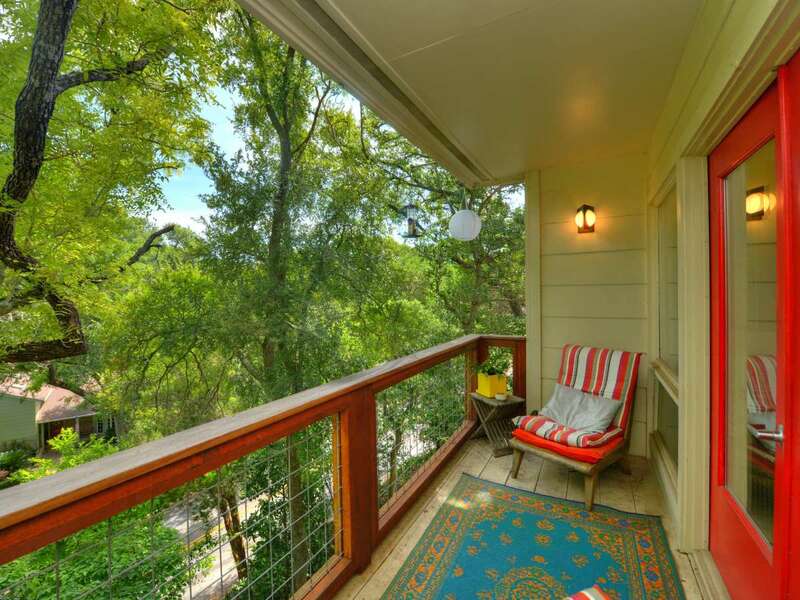 The master retreat resides on the third floor, among the trees. 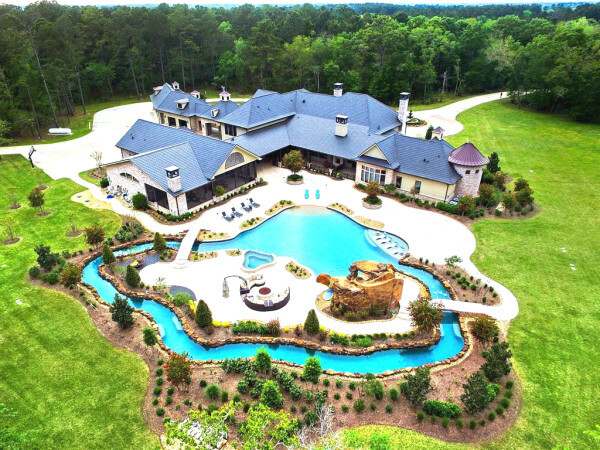 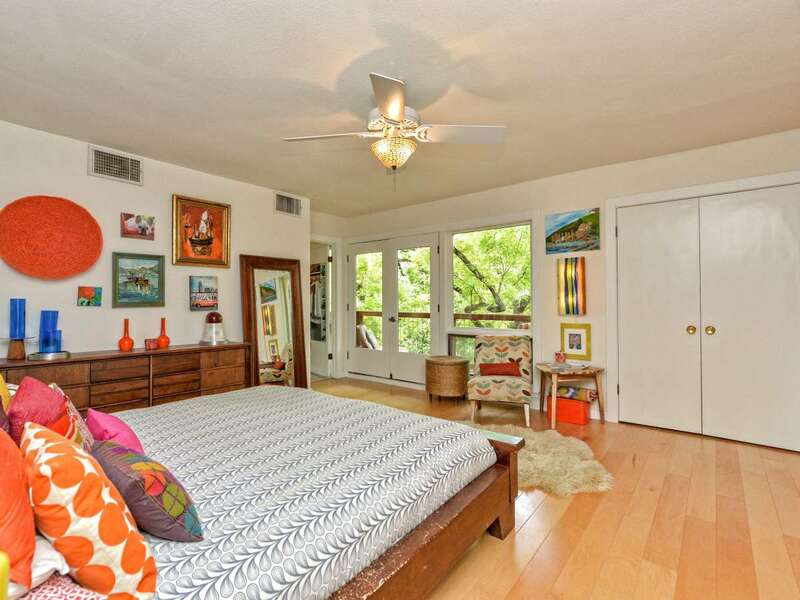 In total, there are four bedrooms, three bathrooms, and 2,500 square feet. 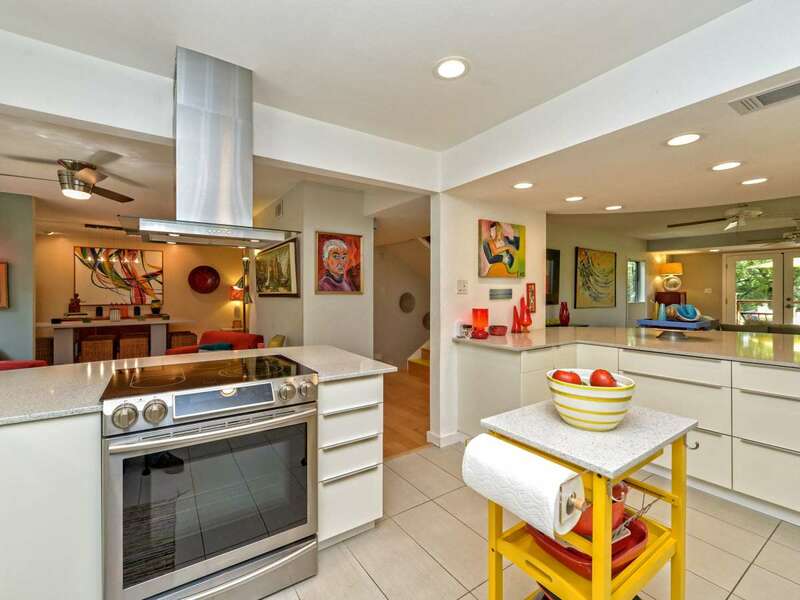 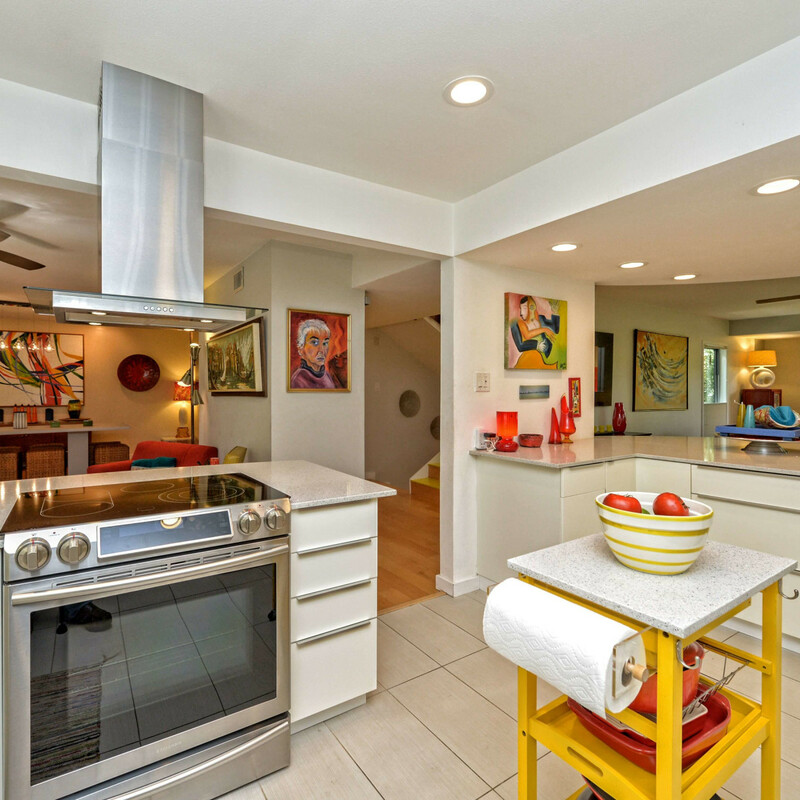 The kitchen is sleek, with recessed lighting, stainless steel appliances, modern cabinetry, and ample counter seating. 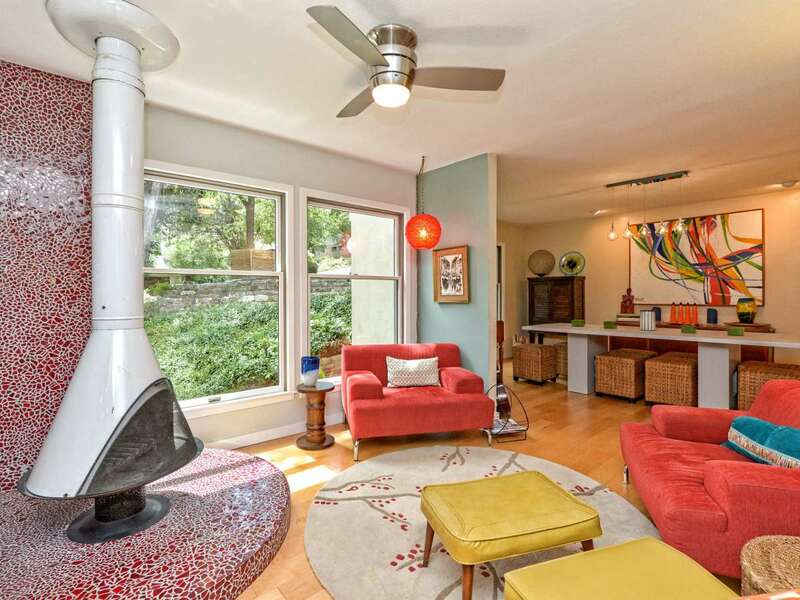 Other elements — like a contemporary freestanding fireplace with mosaic surround — add to the modern aesthetic. 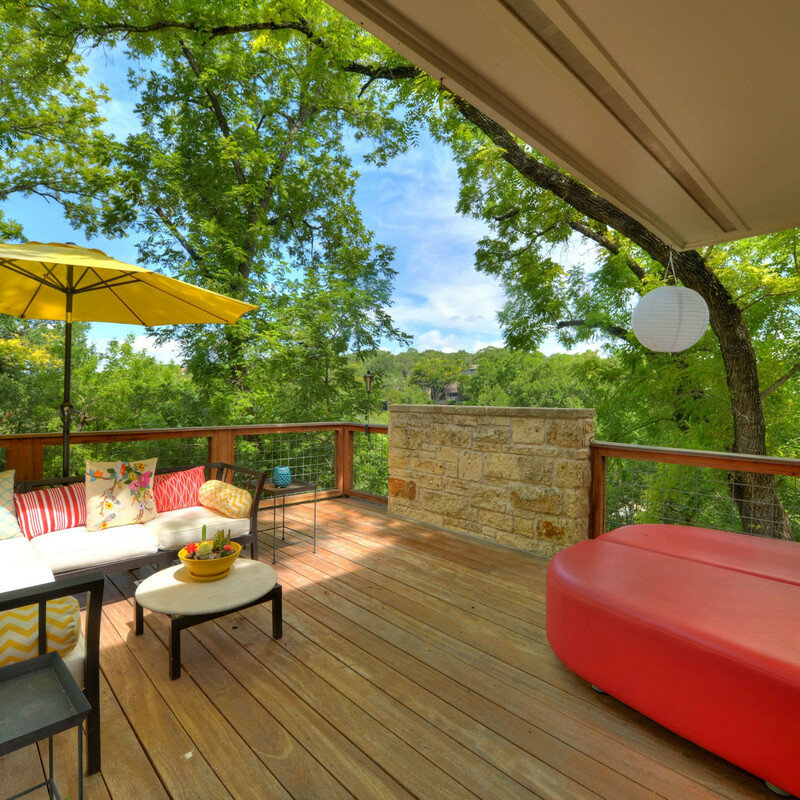 Balconies on multiple levels take advantage of the setting, and a large Brazilian hardwood deck extends the main-floor entertaining space. 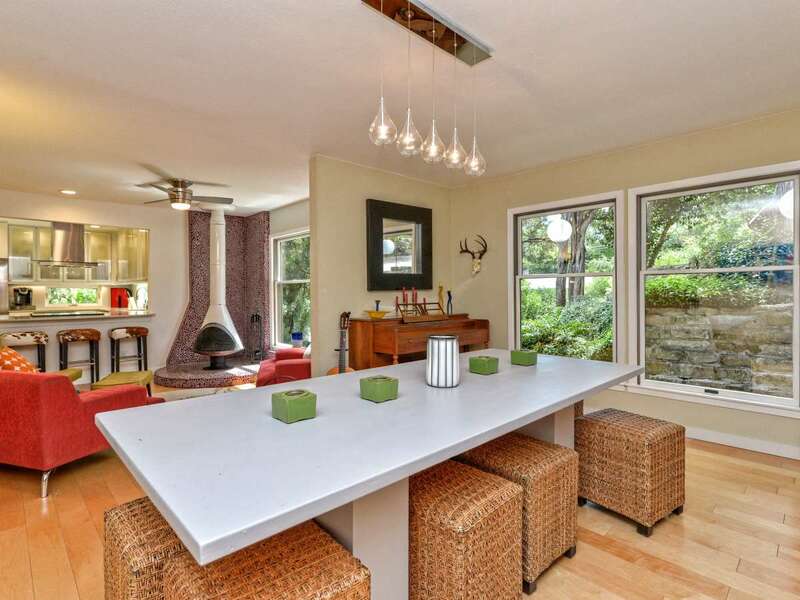 While the Northwest Hills locale is secluded, it's just minutes from The Domain and downtown. 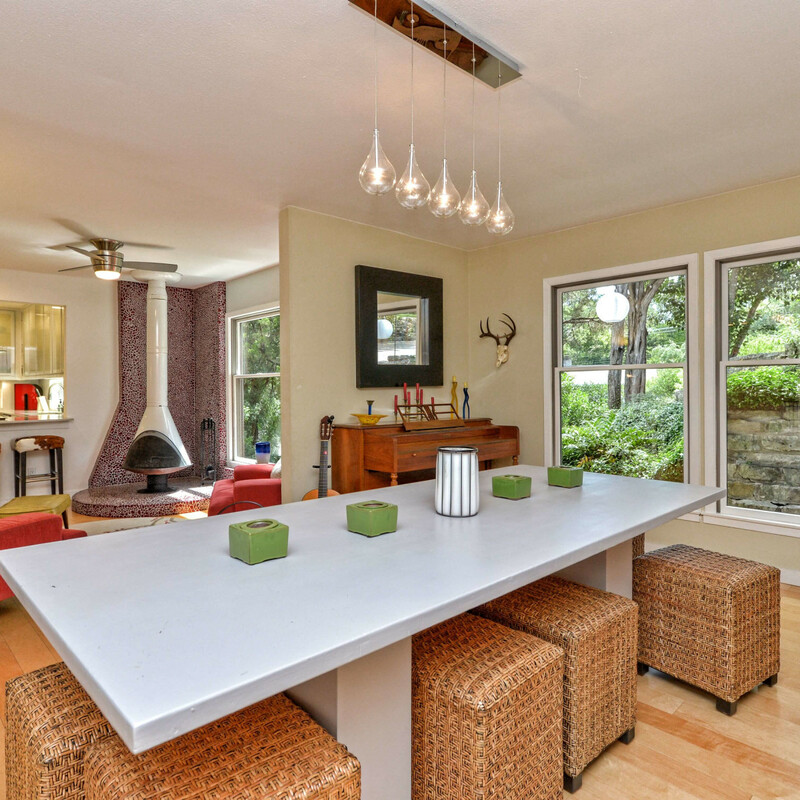 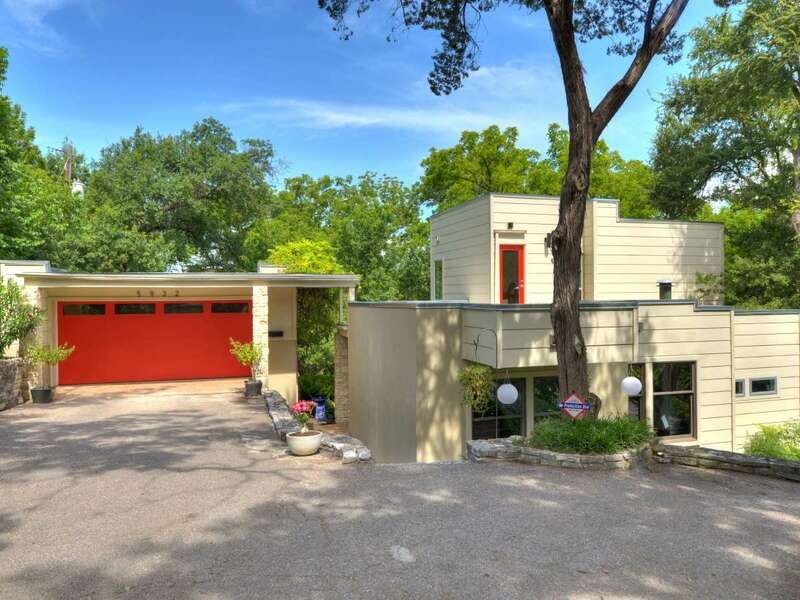 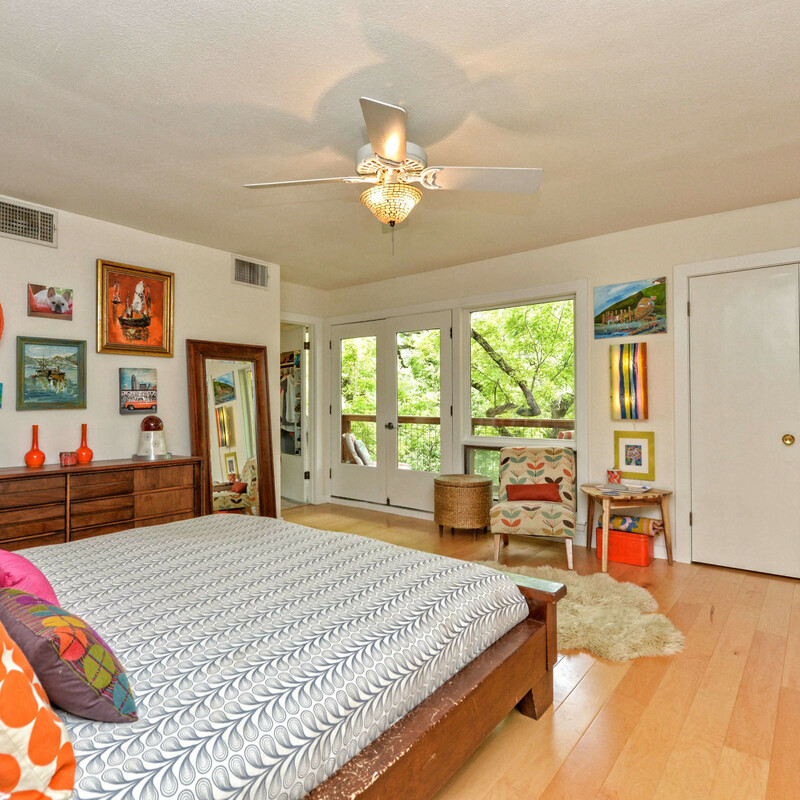 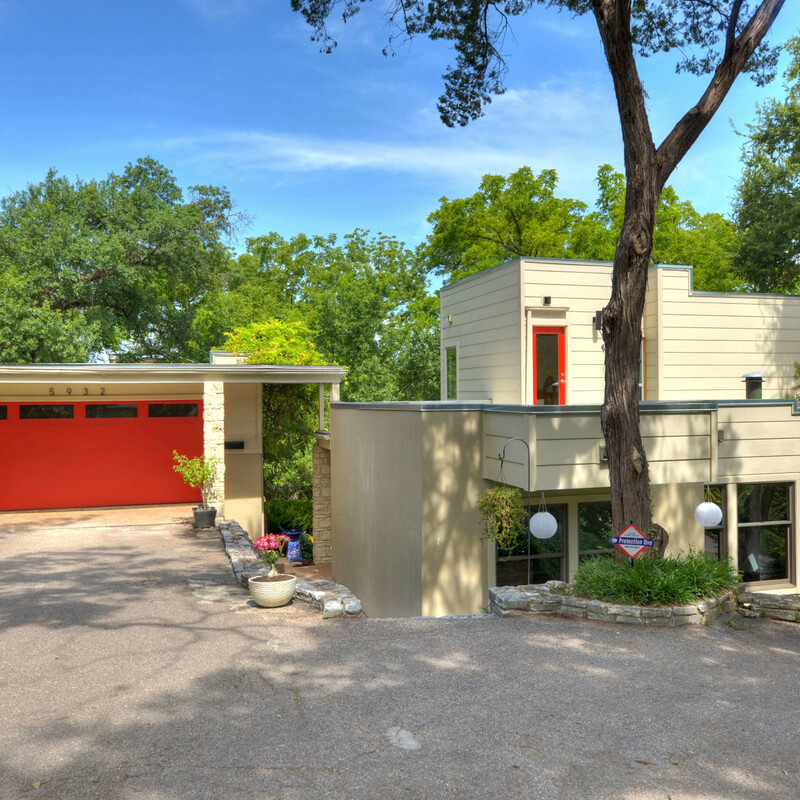 5932 Highland Hills Dr. is listed with John Purser of Engel & Völkers Austin for $699,000.